Art. S589Couple of bottles for water and wine whit 24k gold plated decoration The bottles are h..
Art. 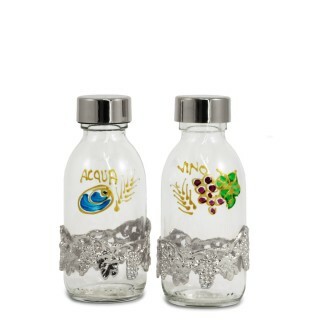 S589NCouple of bottles for water and wine whit silvertone decoration The bottles are hand-..
Art. 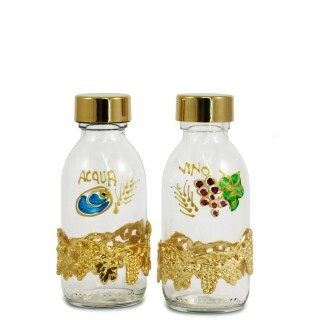 S498Couple of bottles for water and wine whit 24k gold plated ferrule Contains: ml. 30..
Art. 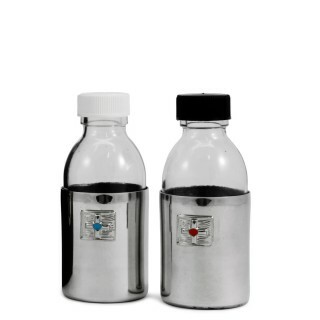 S498NCouple of bottles for water and wine whit silvertone ferruleContains: ml. 30..
Art. 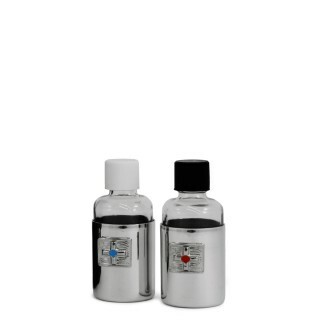 S565Couple of bottles for water and wine whit enamelled small plaqueContains: ml. 125..
Art. 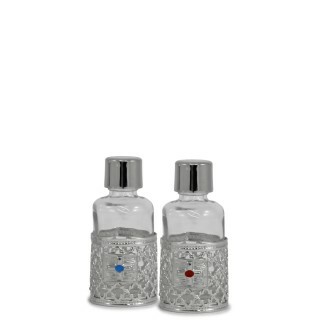 S566Couple of bottles for water and wine whit enamelled small plaqueContains: ml. 30..
Art. S32Imitation leather hard case complete with two bottles for water and wineBottles Contains: ml..